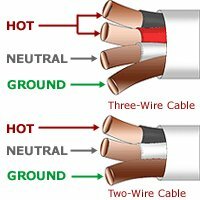 Romex Cable, A Brief Explanation. 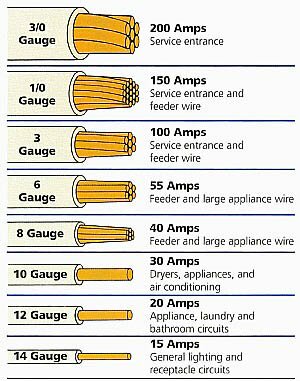 Most 120Vac household circuits are fine using a 12 or 14 gauge wire. The smaller the gauge Number the larger the conductor size. So when your needing a three conductor cable to wire up a basic 2-way switch, you will need a 14/2 w/ground cable. What that number means is 14 gauge (wire size), 2 conductor which also includes a bare ground wire. The 2 conductor only refers to the insulated wires and not the ground. So 14/3 w/ground represents 14 gauge wire, 3 insulated conductors and 1 bare copper ground wire. Now some wire manufacturer's will put a green insulation on their ground wires but then it will typically count as a conductor. Kinda confusing isn't it. But try not to put too much thought into it. Most common house circuits are very basic and thats all we really care about for now.